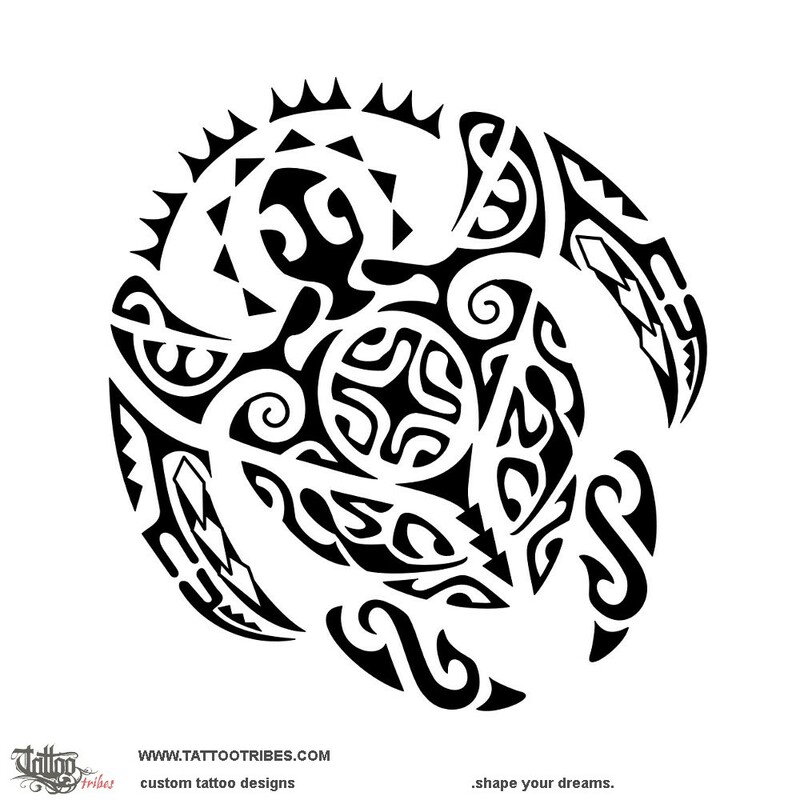 This turtle tattoo, designed for Martin, rounds up with a sun to represent joy and success on his path. 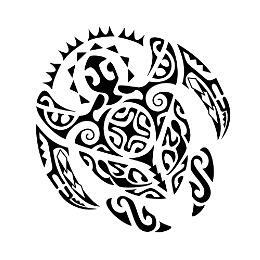 The central part of the shell and the tips of the front flippers design a manta with a Marquesan cross in the middle to symbolize freedom and harmony. Two lizards protect the manta on both sides. Balance is represented by its symmetry. There are symbols of protection and the head of the turtle was shaped like a mere, the club used by chiefs, to symbolize status and achievements.